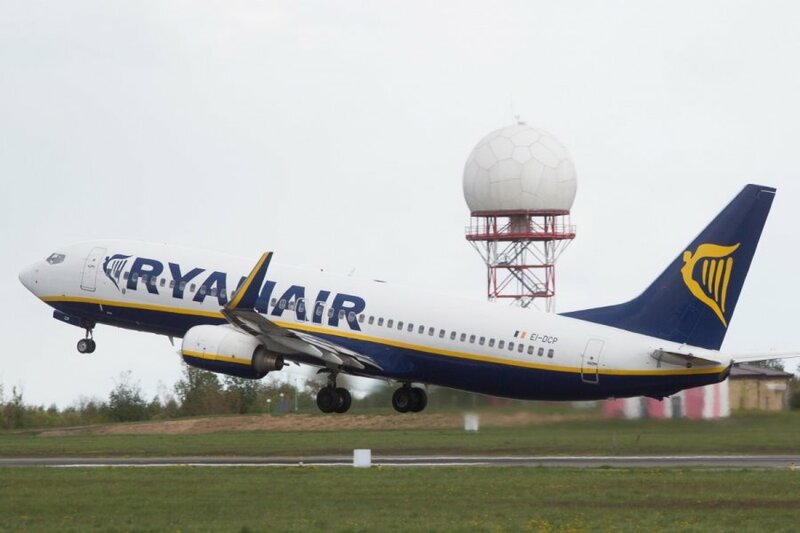 Ryanair, Europe's biggest low-fare airline, serviced its 15-millionth passenger flying to/from the Baltic countries on 18 July, Vilnius Airport informs. The lucky passenger was Sima Vaskelytė who was on her way to Bremen. A celebration was held at Vilnius Airport where Vaskelytė was presented with a Ryanair flight voucher from Vilnius to a destination of her choice and cupcakes were served to all passengers departing on a Ryanair flight that morning. In Vilnius Airport, Ryanair's Baltic Sales and Marketing Manager Elina Hakkarainen said: "In less than 10 years Ryanair has carried 1 million passengers in Estonia, 7.5 million passengers in Latvia and 6.5 million passengers in Lithuania, reaching now this impressive milestone of 15 million Baltic passengers. We are very happy to be able to celebrate this Baltic milestone in Vilnius and hope that Ryanair will continue its growth and success in all the three Baltic countries in the years to come!" "We are also celebrating this big achievement of Ryanair - an airline which is the biggest one in Lithuania in terms of both the number of passengers and flights," said Gediminas Almantas, CEO of Lithuania Airports, a company that manages and operates Vilnius, Kaunas and Palanga airports. Ryanair started its Baltic operations in Riga in October 2004 with routes to London Stansted and Frankfurt Hahn. A year later, in September 2005, Ryanair commenced flights from Lithuania with a route from Kaunas to London Stansted. In 2010 Ryanair made Kaunas its first and only Baltic base and later that year started operations in Tallinn, Estonia. Ryanair's fourth Baltic airport was opened in May 2011 when Ryanair started operating flights to and from Vilnius. Currently, Ryanair offers 52 routes from Tallinn, Riga, Kaunas and Vilnius carrying up to 2.3 million passengers per year.